Attempts to Revive Gregorian Chant? Key SSPX Figures Lining Up? 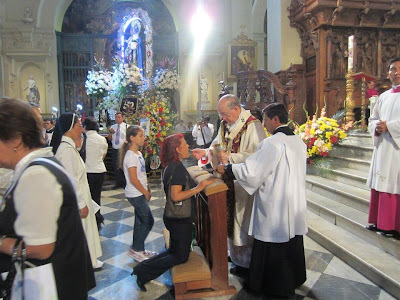 Should an Artist Copy from Photographs? 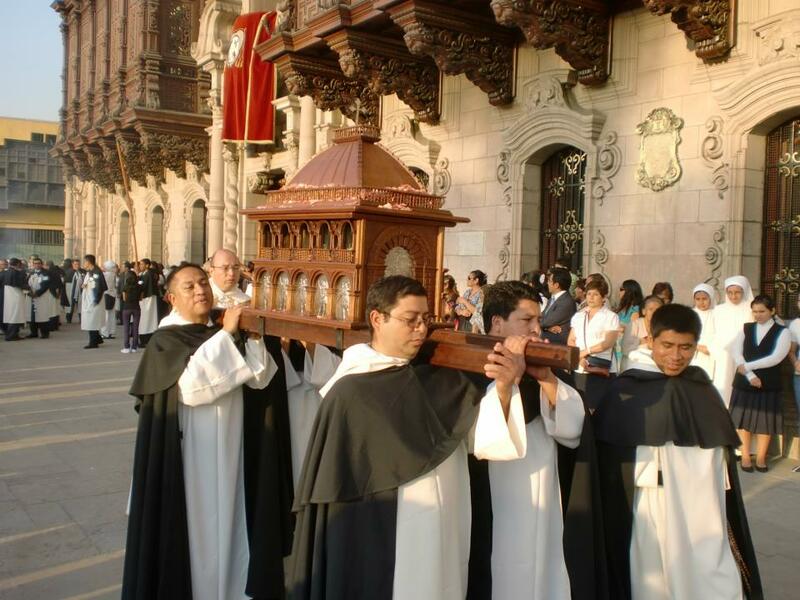 St Martin de Porres OP (1579-1639), a Dominican lay brother of Lima, Peru, was canonized by Bl John XXIII on 6 May 1962. 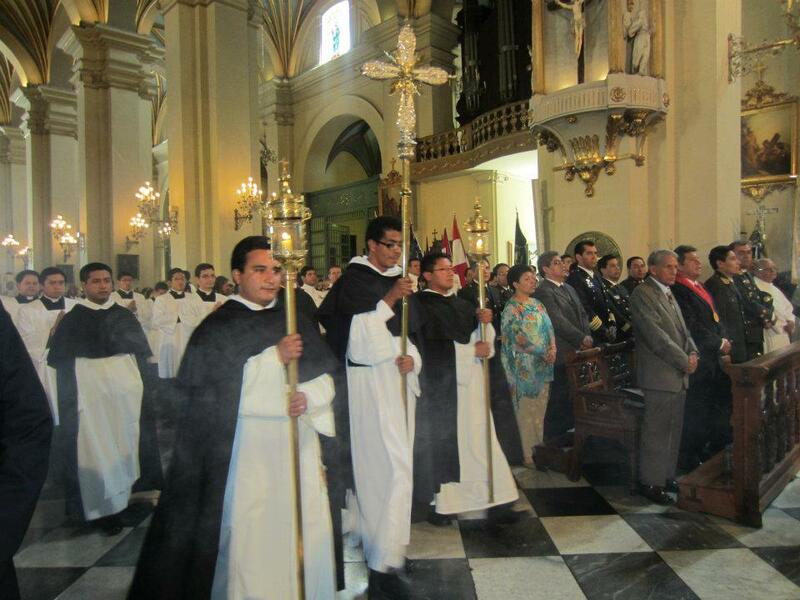 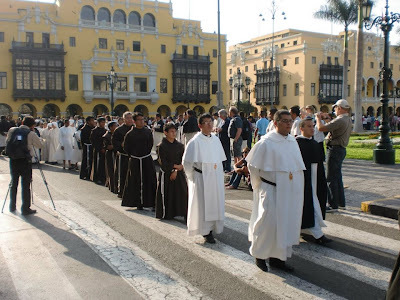 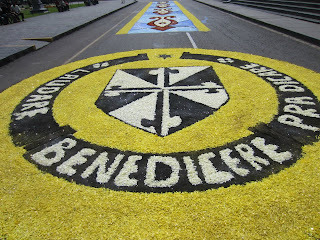 To mark the 50th anniversary of the canonization of this saint renowned for his charity and who was declared 'patron of social justice', the Dominican Province of St John the Baptist in Peru held a grand celebration in the city of Lima. On 5 May, for the first time in history, the relics of St Martin left the Convent of Santo Domingo, and they were carried in procession to the Cathedral. 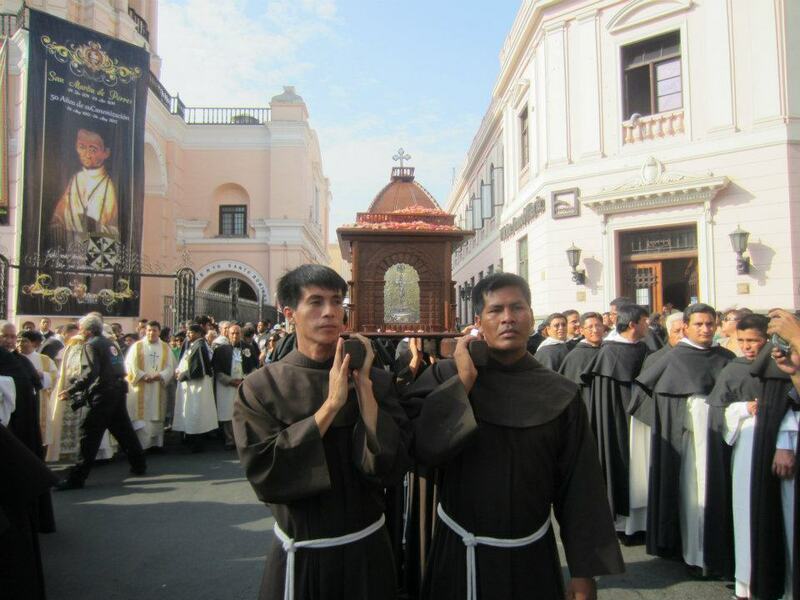 Dominicans and Franciscans carried the reliquary through the streets lined with religious, laity, clergy, and accompanied by exuberant bands. 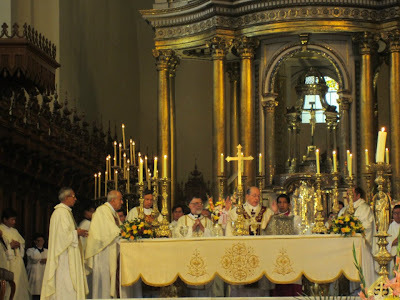 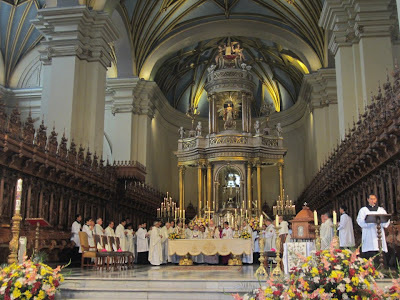 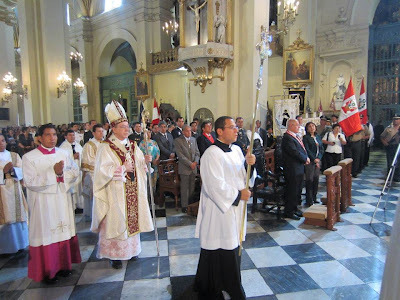 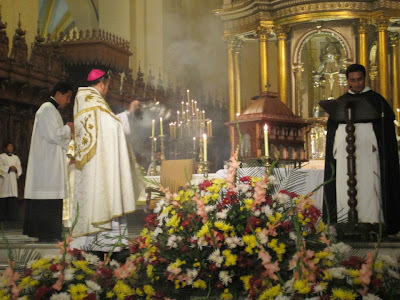 On Sunday 6 May, the Archbishop of Lima, Cardinal Juan Luis Cipriani Thorne presided at a concelebrated Mass attended by many bishops and civic officials, and the Mass was followed by another procession of a statue of the saint through the streets of Lima. Celebrations will continue in Lima over the next few months, and the relics of St Martin will be touring the country. At his Angelus in Rome on 6 May the Holy Father invoked St Martin de Porres, asking him "to intercede for the work of a new evangelization, so holiness may flourish in the Church". 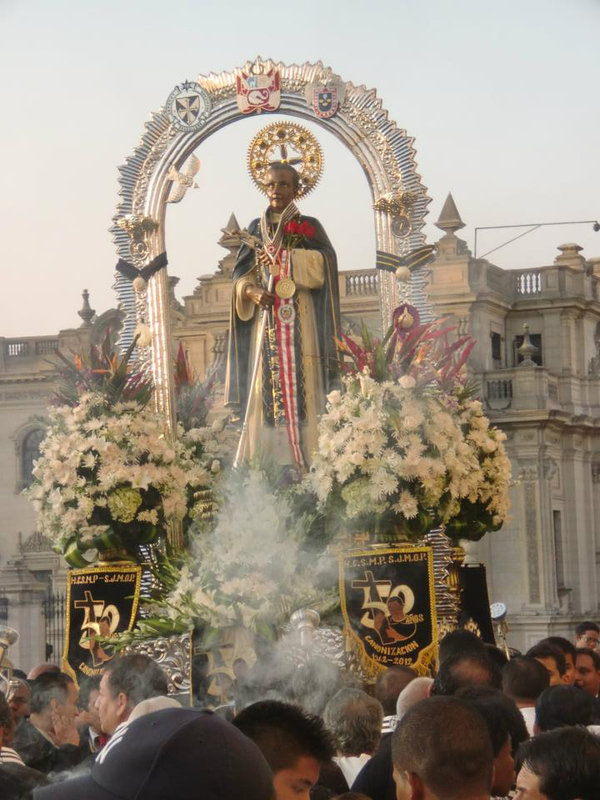 Below are some photos from the weekend's celebrations, and a brother of the Dominican Province of St Martin de Porres in the USA has written a fine hagiography of the saint. 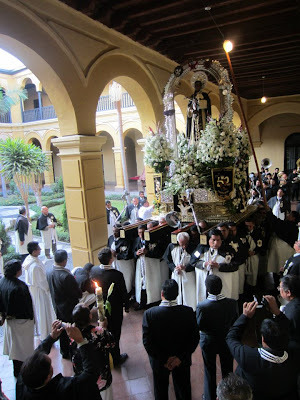 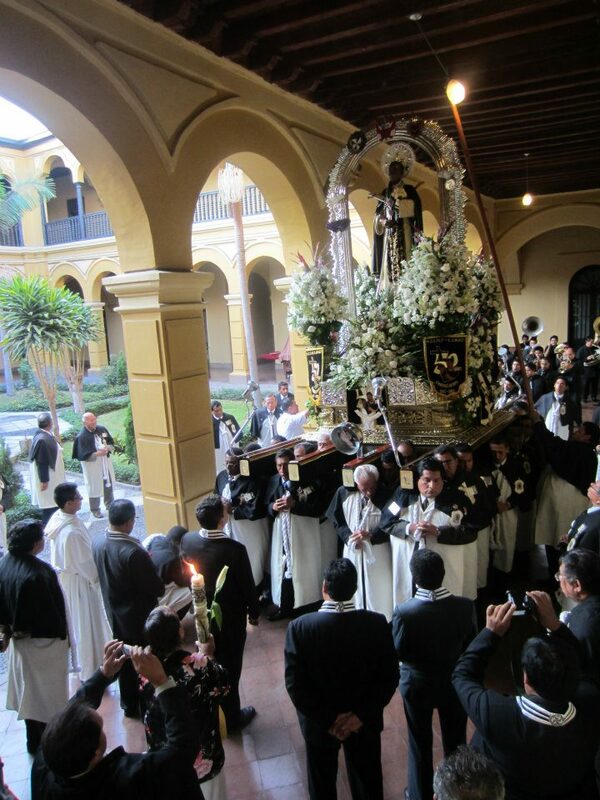 A video of the Procession of the relics in Lima can be seen here.